This week I had the pleasure of going to a Trashion Show at our local Flood Brook School. The show was organized by the school’s amazing art teacher, Casey Bailey, and the designers and models were middle school students. The clothes were made from paper bags, plastic bags, newspaper, and more, and there were some pretty fabulous fashions. These kids taught me a thing or two about brown paper bags! A favorite of mine was a Mad Hatter’s hat made from a grocery bag, and I ran right home to try one myself. If you want to make one, just start rolling up the bottom of the bag, shape it any way you want, and add decorations as you please. Thanks for the inspiration, kids! Just in time for Halloween. This entry was posted in clothing, recycled and tagged brown paper bags on October 17, 2014 by Helen Ellis. 2. The folds of the bags make some great shapes when they’re cut apart, and since the paper is strong, the bags can be very sculptural (like the Ilvy Jacobs Foldbags I mentioned in a post the other day). Here’s a castle made from a cut open bag. I glued some cardboard on the back walls to give it some extra strength. …and here’s a Valentine made from a heart that was printed on an old IGA bag. I wish they still made those heart bags. 4. A friend who has been following all these brown paper bag posts sent me this link to an engaging little video in which Milton Glaser and Cynthia Rowley talk about the role of brown paper bags in the early development of their art. This entry was posted in hearts, recycled and tagged brown paper bags, Cynthia Rowley, Milton Glaser on October 11, 2014 by Helen Ellis. 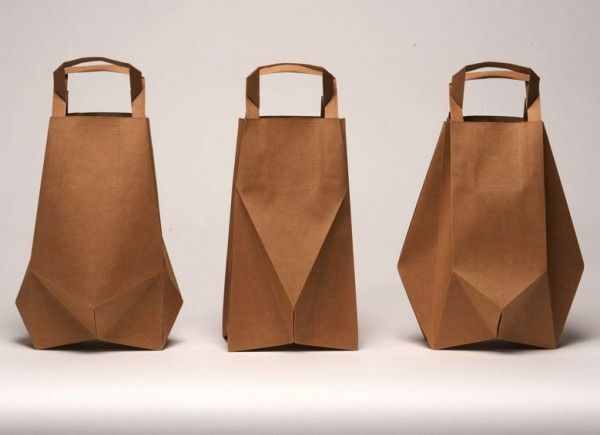 More brown paper grocery bag appreciation today. The strength and body of the bag paper has inspired some designers to create amazing apparel. Here are some favorites. 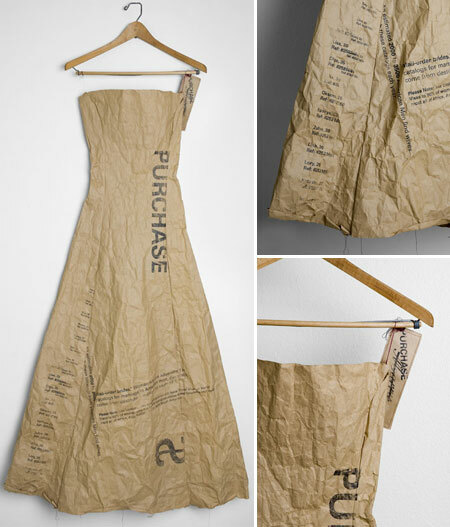 Here’s an origami dress made with Whole Foods and Trader Joe’s brown-paper grocery bags from Simply Defined (Green) Project. This artist also makes dresses with newspaper, garbage bags, plastic water bottles, and soda pop cans. Tomorow: The king of paper bag art! This entry was posted in clothing, recycled and tagged brown paper bags on October 7, 2014 by Helen Ellis. Many of us collect things, all kinds of things. Some people love to display their collections. For others, it’s more about classifying and arranging, maybe a way of making sense of the world around them. 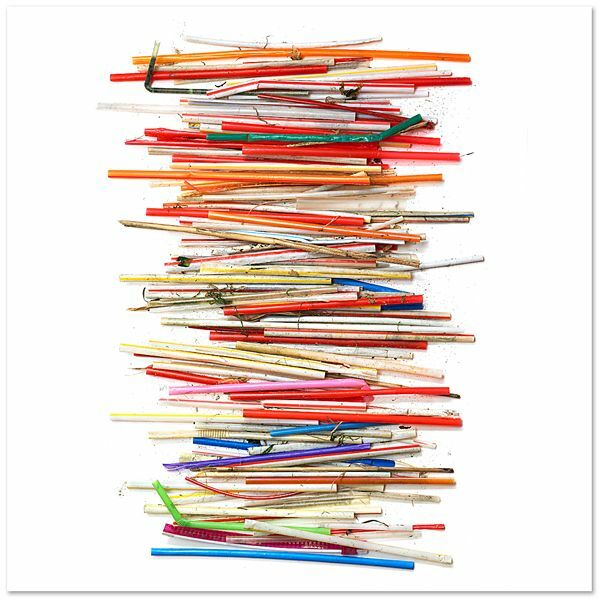 And then there are artists for whom the collecting is a central part of the art process. 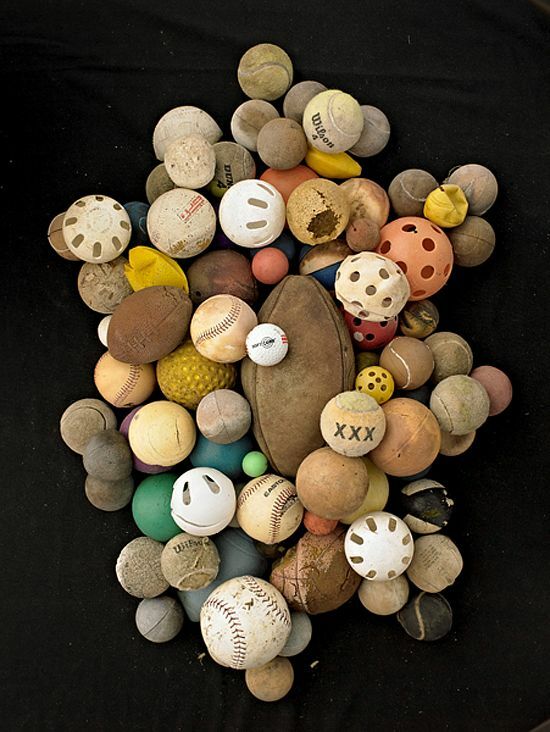 Photographer Barry Rosenthal is a junk collector after my own heart, but he takes collecting to a new level in his series Found In Nature. From collecting comes inspiration for new ideas and pieces. Collecting is the foundation of the project. I collect everything myself. I collect only from coastal areas that have an immediate connection to the ocean. Periodic collecting is a means of renewing the project. I seem to pick up energy from collecting to carry me further with my work. Collecting is the first step in a creative cycle. Finding a theme, sorting the objects, combining objects, building a composition, filling a space, and finding a lighting solution are steps I go through to make a piece. At some point in building the composition or sculpture some intangible emotional feeling is imparted to the piece. There is an intimacy between the objects and myself. Intimacy transforms into soul. I have learned that plastic is forever. 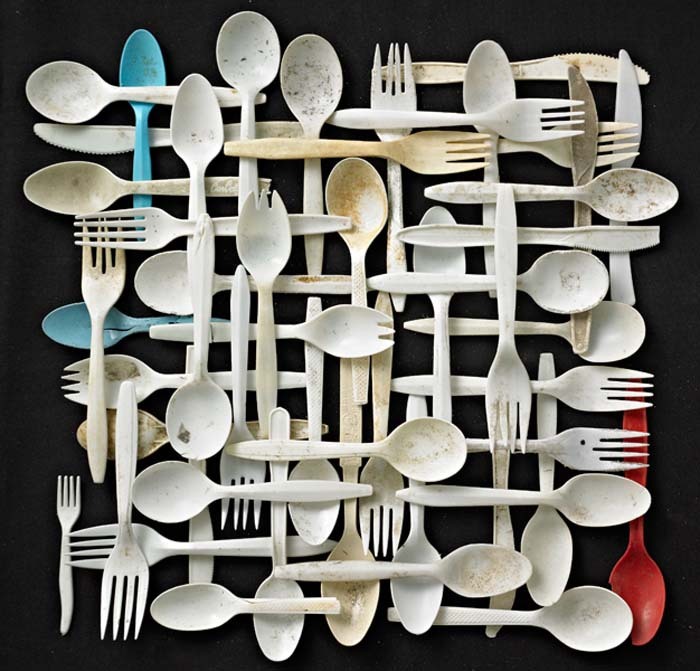 Breaking down plastic pollution into ever smaller bits is not a solution. Plastic must be removed from the environment and not allowed to cover the oceans and land. The oceans need advocates. I do a small part to further the visibility of ocean-borne pollution. Education is important in showing what is already in the environment. I’m an artist. I didn’t start out to make a political statement with my work. I was attracted to these ‘lost’ objects. The work continues to evolve. I want to make a statement about contemporary archeology. We are what we produce. You can find more of Rosenthal’s Found in Nature series here. This entry was posted in recycled and tagged barry rosenthal, found in nature on March 30, 2014 by Helen Ellis. I’m someone who loves to collect discarded stuff to use for art materials. The fact that I find these things in the course of my everyday life gives my work another layer of personal meaning. The ingredients in my work tend to have some history: the wrapping paper from a friend’s baby shower, the abandoned nest from under the eave, the wires collected on dog walks in Central Park. Over the years, I have encouraged kids that I’ve worked with to collect things that they find in the course of their days, and they have created some beautiful works with those materials. Here are two of my favorites. This entry was posted in recycled and tagged found objects on March 24, 2014 by Helen Ellis.